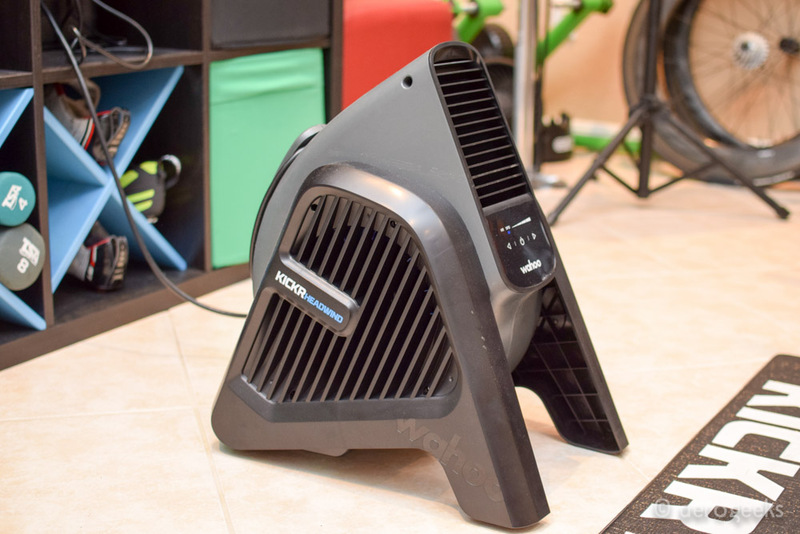 There are two ways we can best start the review of the Wahoo KICKR Headwind – either with the fact that the Headwind is a fan capable of putting 30mph worth of wind over your body matched to either your heart rate or speed. Or that it is a fan that costs $249 (or roughly 10 times the cost of an Amazon Basics Air Circulator Floor Fan). And while we debated starting with the latter – we think the former is probably the reason you would be interested in this review in the first place. So, let’s jump into what makes the Headwind good enough to last through an AeroGeeks review and why you may just want to spend $249 to pick one up. The Headwind at its simplest description is a floor or table-based fan that can put wind at a speed up to 30mph over your face and body. Wahoo tells us the Headwind uses a Targeted Airflow Pattern to mirror the shape and position of a cyclist’s body while riding on a bicycle. What we found is that the wind stays in a width equivalent to our editors’ individual bodies and can be focused on our head and torso. The Headwind itself is a pretty serious unit. At 16″L x 12″W x 19″H its dimensions look similar to many a fan out there, but it would still be fair to call it bulky. The Headwind pulls the air from the side (which is great if you need to put it right up against a wall) and pushes it out from the front. The Headwind has a pair of stubby legs in the bottom that allow you to either have it in an angled direction (blowing air from the ground up to your head\body) or at a table top level to blow air straight towards you. At the back of the unit is an old school vacuum style cord holder. For those with a KICKR desk, the Headwind was specially designed to fit with it. 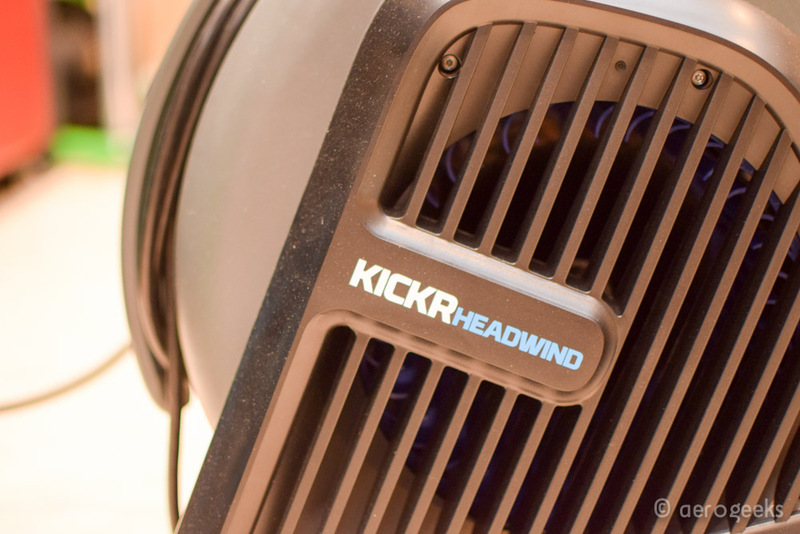 The wheels on the Headwind allow you to roll the fan into position when it is attached to your KICKR Desk. (Unfortunately, we do not have a KICKR Desk so could not try that out). What really makes the Headwind unique is its connectivity options. You can control the speed of your Headwind by pairing it to an ANT+ speed sensor, heart rate monitor, or smart trainer. As your speed or heart rate increases so will the fan speed. 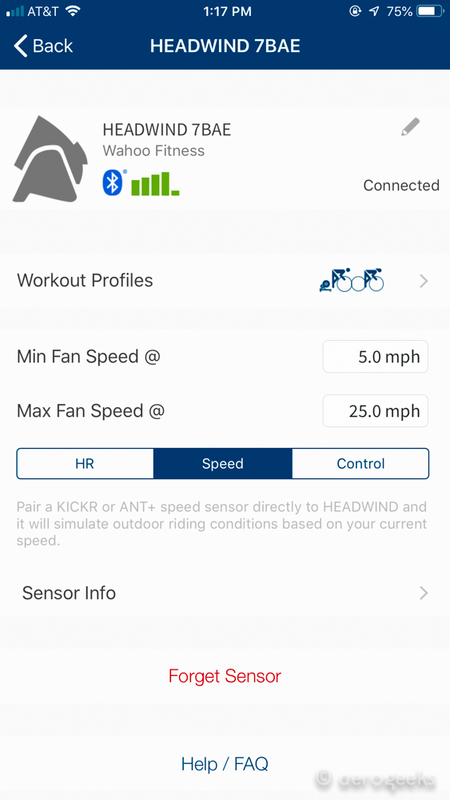 (Note, unlike the KICKR Climb that requires you to connect from one Wahoo product to another, the Headwind does not require the ANT+ sensors to be Wahoo – any will do). 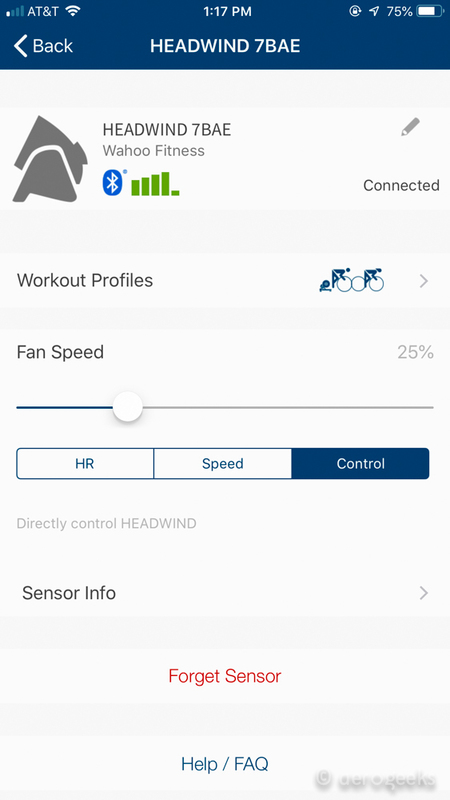 Once paired to your ANT+ device you can then configure the fan’s power relative to your speed or heart rate on your mobile device via a Bluetooth connection and the Wahoo app. For those first trying this – we recommend setting the point where you get max output not to your personal max but instead to the point you want the most air. For instance, if you can hit 30mph but want max air at 20mph+ make sure to set the maximum to 20mph. Once you are all configured you can give it a try – a structured workout will really show you the benefit of the connectivity. Start off easy with a light breeze and then as you start putting down power more and more air is going to be pushing against you. When you hit a break in the ride, the air will dial back and instead of getting too cold your body heat will match the cooling affect. It all just works – to an almost natural feeling. And for those looking for something simpler and more basic – you can instead simply control the current speed via a simpler slider in your Wahoo app. (You can also use the buttons on the fan itself but for most rides and riders that is pretty impractical). And as we mentioned at the start, the Headwind will set you back $249. I know what they’re doing. I know exactly what they’re doing. They just keep repeating “go faster than any man in the history of space travel”, like that’s a good thing. Like it’ll distract me from how insane their plan is. Yeah, I get to go faster than any man in the history of space travel, because you’re launching me in a convertible. Actually it’s worse than that, because I won’t even be able to control the thing. And by the way, physicists, when describing things like acceleration do not use the word “fast”. So they’re only doing that in the hopes that I won’t raise any objections to this lunacy, because I like the way “fastest man in the history of space travel” sounds. I do like the way it sounds… I mean, I like it a lot. Now it’s funny because we feel if you were to change “faster than any man in space travel” with “30 mph targeted air” and “launching in a convertible” with “$249 fan” you sum up our feelings on the Headwind – we liked it a lot. For long time readers of AeroGeeks.com you know that we only write about the products we actually want to train with. So, you know if you are reading this, that must mean the Headwind is a product we actually wanted to train with. And that “want to train with” actually started with the value of the fan itself. The Headwind blows a huge amount of air over our face and body during our workouts. For comparisons sake – prior to installing the Headwind we used a three-fan setup in our pain cave. The first on a table blowing straight at our face, the second on the ground blowing up at our body. And the last a ceiling fan blowing air down and circulating the room air. Since we started using the Headwind we have used one and only one fan – the Headwind itself. 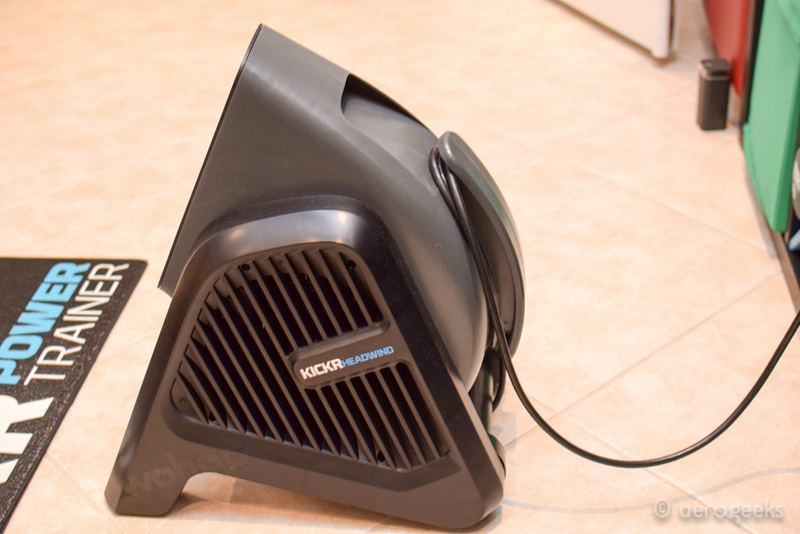 Now we could have bought those 10 Amazon Basic Air Circulator Fans we mentioned before and we have little doubt the combined might of those fans would have given us similar or maybe even better cooling than the single Headwind. But the impracticality of that (at least for our pain cave) would be immense (though we do like the image of 10 fans surrounding our bike). 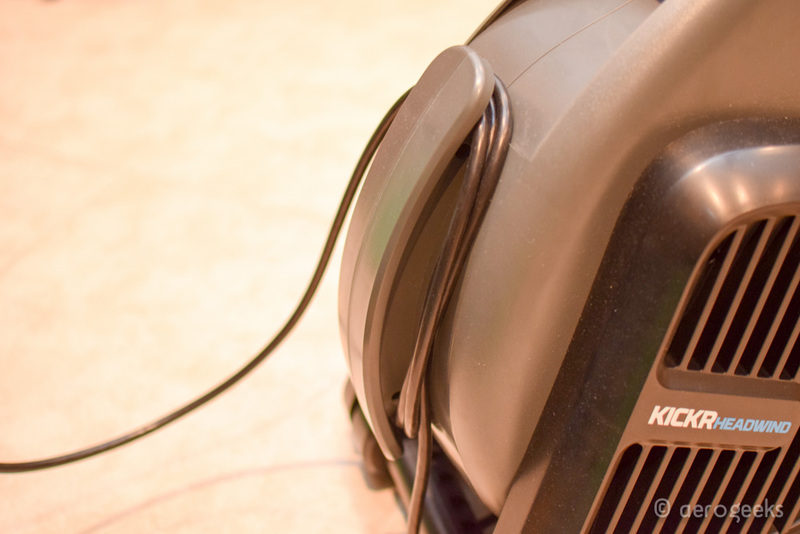 Simply stated – we barely had room for our original 3 fan setup which the Headwind soundly beat. To keep adding fans is simply not practical. The connectivity worked great as well. The harder we pushed on the bike, the more air we got – simple as that. The only challenge was getting it correctly dialed in. When warming up we do not like to get a lot of air – better for our body to heat up first before we try to cool it down. So, we learned to set the min fan speed at a high enough rate that we did not get any air until we were really ready to get cooled down. Or in some cases we left it in manual mode for the warmup and then switched to automatic mode when we started moving. We preferred to use it “speed” mode as it gave more immediate results versus “heart rate” based where it would lag compared to your actual need (similar to using power versus heartrate). Now to quote Frank Sinatra – “Regrets nitpicks – I’ve had a few”. Our biggest issue with the Headwind is that it feels like a Beta or 1.0 product. 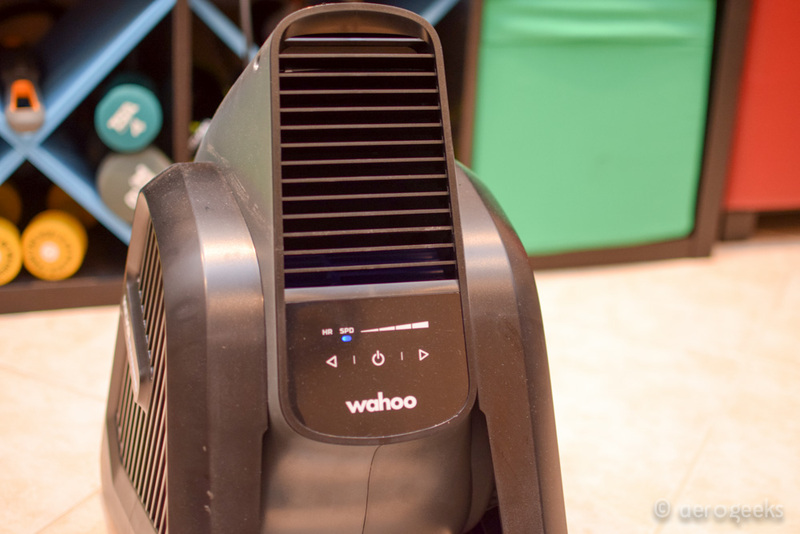 There are a number of items where we think Wahoo can really knock it out of the park (and more easily justify the price) with the next generation unit. First is the vacuum style cord holder. Yes, it is a simple solution to hold the cord, but we would love to see it hidden underneath and out of the way versus just hanging on the back. We are not the only people to have a pain cave in a location that visitors routinely see. The more aesthetically pleasing a product is – the more we appreciate it. Next is having a permanent remote. Our hands get quite disgusting during our training workouts and picking up the phone to adjust the Headwind was not something we prefer to do. A simple IR remote with 3 buttons (faster, slower, and mode) would solve this nicely. And this is also a feature on a fan that costs just $35. We do not think it is asking too much to have one included on the Headwind as well. Speaking of control – a third connected option for power based would be fantastic. As we mentioned, heart rate is a lagging indicator. And speed is based on the virtual world we are experiencing, not necessarily our workout. 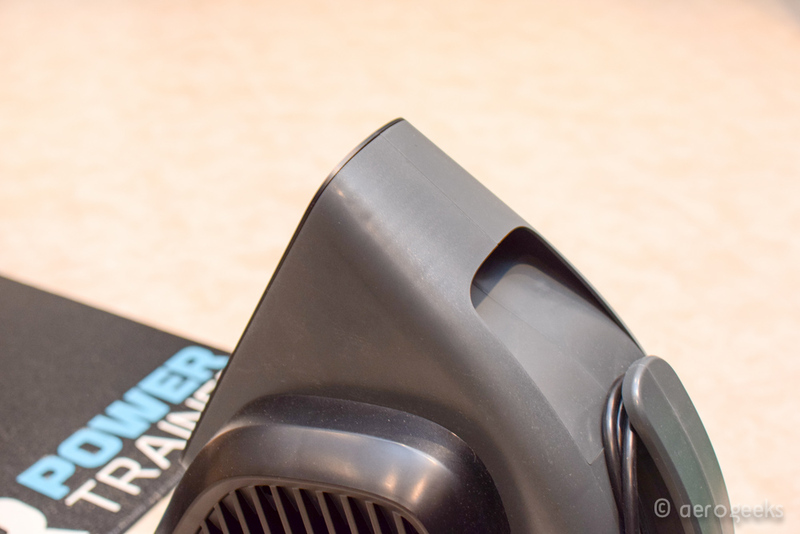 Power, for some workouts would be the best metric to key the fan’s speed off of. Finally, the legs that allow you to set it either angled or level should provide more than just two settings. On a premium product such as the Headwind we expect a more adaptable experience. Even doubling from two to four angle options would be welcome to deal with riders and tables of different heights. But even with all of those nitpicky items and that price – we really do like this fan. Enough so that we are looking to make one a permanent addition to the AeroGeeks pain cave. With the amount of air it puts out, and the connectivity options, the Headwind has found a home at AeroGeeks HQ. Thanks as always for reading AeroGeeks.com and stay tuned for a big announcement later this week. We have been teasing it since last Tuesday and we have just a few more days to go! How are the noise levels? We do not have a sound level meter so take this with a grain of salt. But the noise was minimal at low levels and at high levels our 2017 KICKR made more noise than the Headwind itself.